Aspect of Creativity by Dulcie M. Stone is a book that opens the debate for the need for free expression and creativity in our education system. Dulcie M. Stone uses her professional knowledge and experience from her lifetime commitment to the arts, creativity and education to weave a magic spell on the importance of learning through creativity. Born in Melbourne in 1924 Dulcie M. Stone has spent her lifetime dedicated to the education and wellbeing of those with special needs. Her experiences as a teacher, coordinator of volunteers, tutor of creative writing groups for children and adults and work as a probation officer have led her to a vast and interesting life where she has had an insight into the good, and not so good, of services within society. Dulcie has committed her life to that of community services being granted Honorary Life Governor of Royal Children’s Hospital Melbourne in 1962, Life Member of W.J. Christie Centre Mildura in 1979, Life Member of Upper Yarra Community House Inc 1980 and M.B.E ( Member Of The British Empire) in 1981. Today at the young age of 89 Dulcie is still as passionate about creativity and life, working on her next book. She is a true inspiration to women Australia wide. I enjoyed every page of Aspects of Creativity. As a home educating mother and a mother of an Autistic Child Aspects of Creativity rang true many times. It inspired me and led my thought patterns on a challenging journey. 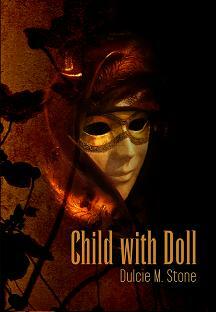 Dulcie Stone writes in a manner that is easy to comprehend and flows beautifully. Her use of scenarios and examples allows the reader to grasp a full understanding of the point at hand and debate the issue within their own mind. The atmosphere created within Aspects of Creativity is one of support, compassion and love. It is a book that wraps its arms around you providing you with its warmth whilst stimulating you to creatively make a difference. In Chapter Three, Atmosphere, Dulcie writes ‘ ....sight, sound, taste, smell and touch, incites different emotions and invites different reactions.’ So too will Aspects of Creativity. That is one of the things I loved about this book. It opens itself to be read by a vast array of readers from different backgrounds and for different reasons yet has a message for all. 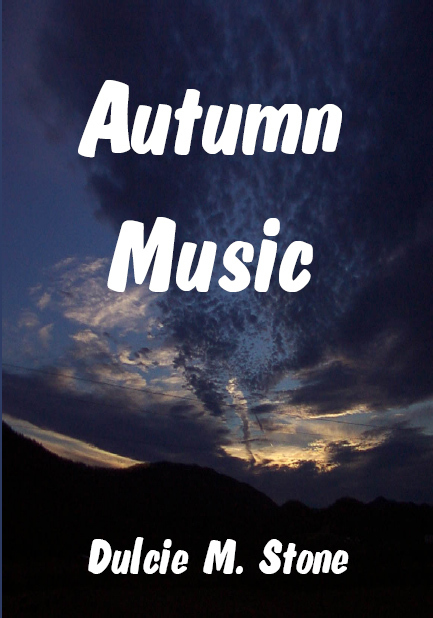 Originally written with those that work with the intellectually disabled in mind Aspects of Creativity contains information relevant to all areas of education. As far as non fiction books of this topic go Aspects of Creativity is a rare gem. 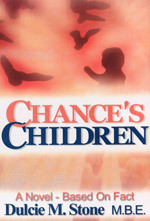 It is hard to find a book that is Australian published with Australian content and that speaks of organisations and places within Australian Society. ‘ Is the atmosphere consistently positive? Or consistently negative? Is there an underpinning process that, no matter how loud an argument or how hurtful an incident, guarantees healing? Or does argument and hurt sink underground, and fester? For a very long time it has been said that negativity creates negativity and this has been one that has been proven to me time and time again. Aspects of Creativity brought this home for me and gave me a further understanding of how I can make changes in myself and the way I interact with others to help create a society of positive outcomes, compassion and understanding. Dulcie M. Stone makes it clear that the allowing of creative freedom creates a world that builds self esteem, self worth and positivity. Dulcie speaks of how all we say sticks in the mind of others. The message is simple, think before you speak and act with compassion and a good heart. For me chapter three, Atmosphere, rang home. It made me consider my own ‘atmosphere’ and how it affects my life. I stopped to think about how I relate to others and how I can re create the atmosphere of my life to provide others and myself with positive experiences. Dulcie M. Stone is a creative thinker who, with Aspects of Creativity, shares her mind in the hope of helping others think outside the square and use creativity to create life changing experiences. Aspects of Creativity has you considering your life values. It touches on political debates within Australia and uses articles and issues within mainstream media to heighten points. It takes a look at how creativity has shaped Australia and the world. Aspects of Creativity could be seen as a controversial book that treads on the toes of some industries but to me as a reader it is an open and honest look at society and how it functions in relation to creativity, and its role in the lives of all from different walks of life. 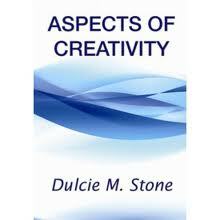 Within Aspects of Creativity Dulcie M. Stone creates an argument that shows research and balance. Aspects of Creativity is not just a book for those involved with the intellectually disabled but a book for all who care. It is a look into the attitudes of society as a whole and how our relations and thoughts shape our community. I urge all to read Aspects of Creativity and challenge their mind. This is a book that has the potential to change lives and create harmony within society as a whole, and communities that work with the disabled.